Present at the dedication of the Major Mark Cato Training Center were head of the Veterans and Warriors program James McCormic, Major Mark Cato, WV Agriculture Commissioner Walt Helmick and Geezers Ridge Farm Trainer Ed Forney. Walking out to what was about to become a new apiary, I spotted a mixed bunch of folks listening to one of Ed Forney’s long beekeeping stories. This was the start of a new experiment in teaching beekeeping to veterans. My first thoughts when Ed mentioned his new project was that I wanted to be there while it was happening, to get to know these Vets a little, why they were here and how beekeeping was going to benefit their lives. There are many vets in my family through America’s history fighting in every war, and in peacetime, so I thought this might be a fitting tribute to participate in this program as an observer myself. I have been keeping bees for a few years now and already know the serenity of watching the bees come and go. I found that this was one of the goals of many of those participating in the WV Vetrans and Warriors to Agriculture program’s beekeeping class taught at the Geezers Ridge Farm training center to help them center a little bit of serenity. Also high on the list was to get some honey of course, to help out the bees, and use them to pollinate some new apple trees that several members where also planting this year. Veterans and Warriors at Agriculture class at Geezers Ridge Farms being taught by Ed Forney. I was wondering when I started walking out to the apiary that first day whether some former General would be out there shouting people orders to get things in gear and get organized. This group of Vets was so varied, men and women, fighter pilots to medics, and even the ever neglected supply sergeants. In civilian life I have found often that those with the loudest voices often do the least physical work, not so with this group of Vets. The loudest among the excited members was the first to grab up shovels and make the dirt fly. 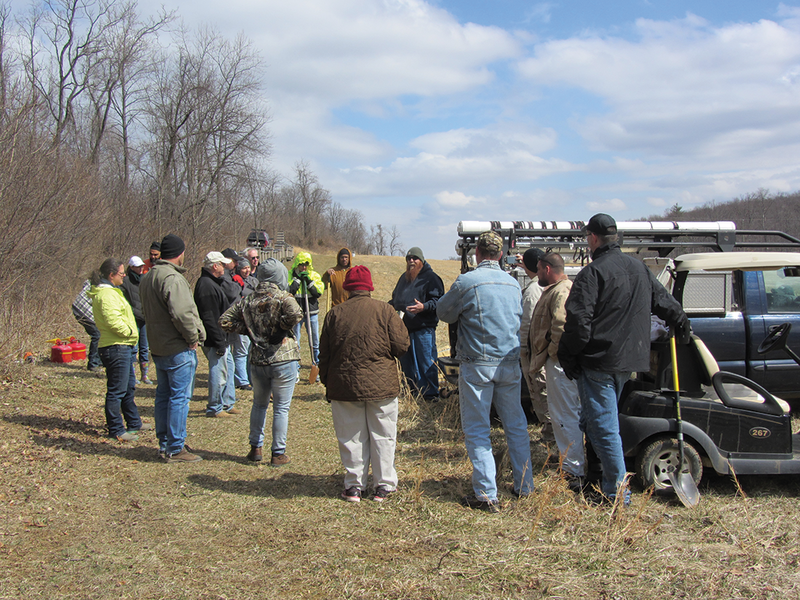 They quickly organized themselves and everyone cooperated and took up a job to get the apiary started. Its a good thing this group organized themselves so efficiently because they were about to confront the head of the teaching staff at Geezers Ridge Farm, and a very organized beekeeping teacher, Ed Forney. Randomly scattering hives across the apiary is not how Geezer Ridge Farms teaches beekeeping. 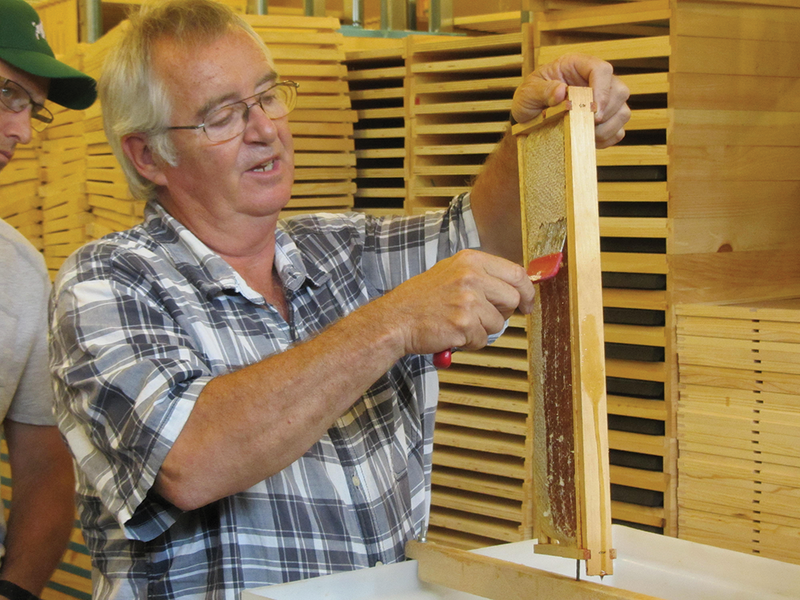 Years of hard work has taught Ed how to make a setup with a cluster of hives surrounding a central work table. This cluster setup is designed to allow beekeepers, especially those getting older with bad knees, to lift up a hive box, pivot one step and set the box down onto the work table. No stumbling around, no tripping, just lift, pivot and drop. It takes a little effort to get set up, these hives are going to be staying here, so a little bit of startup effort will payoff in the end to make tending these hives easier. Ed showing how to find his unmarked queens. Most of the time, it’s a race to see who can find the queen before Ed. Now the fun beekeeper stuff begins. Geezer Ridge Farms takes the class through their hives and allows the class member to create their own splits to use in the Vets Apiary. First the Vets had to find the queen, no marked queens in this apiary, they had to learn to search for the queen hiding behind among all the other bees. Another attitude thing I liked about this Vetrans class was that each person could wear the protective clothing that they were comfortable with, full suit with gloves or shirt and a veil with bare hands, nobody was teased about suiting up or mocked for going bare. They supported each other, encouraged each other to participate and eased into and over their comfort zone handling bees for the first time. There was joy when Ed couldn’t find the queen but one of his students found her hiding from Ed. The class also installed Nucs on their own, sharing the combs that Geezer Ridge Farm provided as a startup to the class. The Vets carefully oriented the queen cages, no hand holding here, you were shown how to do it once and all that information was quickly absorbed by the class as a whole, if there was a question they most often answered it among themselves. The Vets took to the style of Geezer Ridge Farms teachings, that shows everyone what needs to be done, explains why they are doing it, and then is hands off. You go in there and open that hive and find the queen and split the hive up allocating the resources to each split as you have just learned, and put in a new queen yourself. All on the first day. These Vets who have been through so much training in their careers easily handled the transition from Geezer Ridge Farms classroom talks to being out in the field surrounded by bees. Veteran Nick and son demonstrating candle making during one of the Geezers Ridge Farm training sessions. 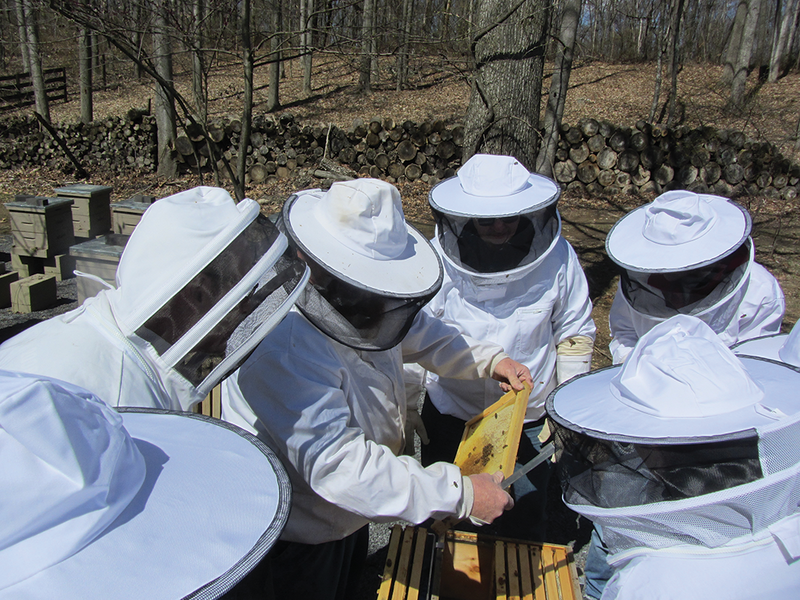 As part of the training, Geezer Ridge Farm was very generous in allowing their own hives to be used for instructing the class. 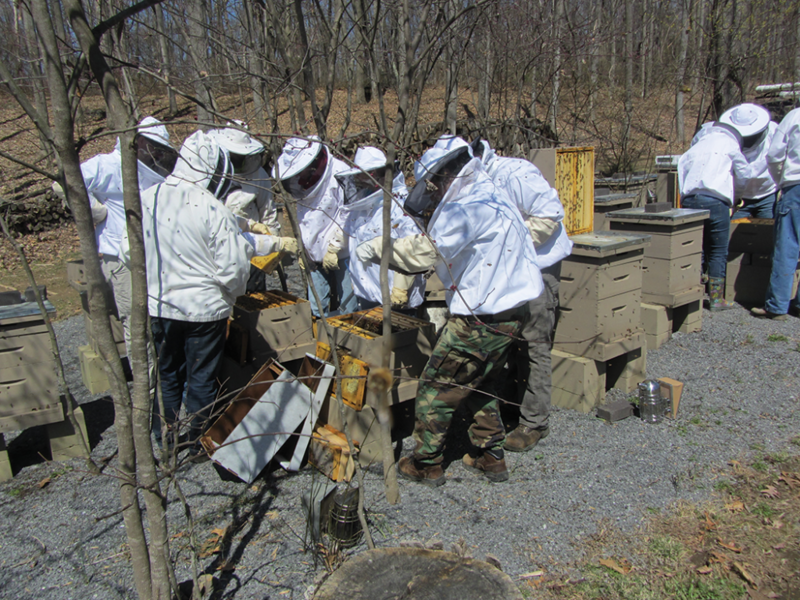 Each Vet got the chance to root around in Geezer nucs and nursery hives. 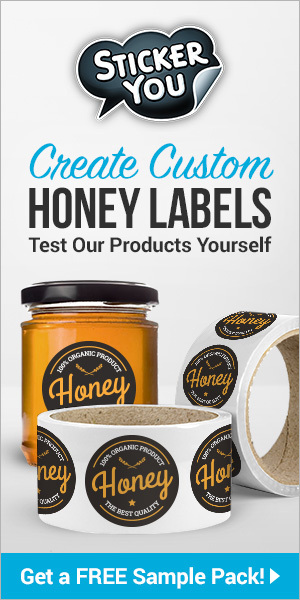 The official training included how to set up a healthy nuc that will jump start early, to when its time to expand the nuc into a full sized production hive. The style of teaching, sharing their own hives, letting the Vets dig deep into each one and not fretting about if a queen would accidentally be squished, none were harmed in the class, went a long way to instilling confidence in even the most cautious members of the class. As the beekeeping season progressed there were more beekeeping sessions with the Vets. One class was on harvesting honey. 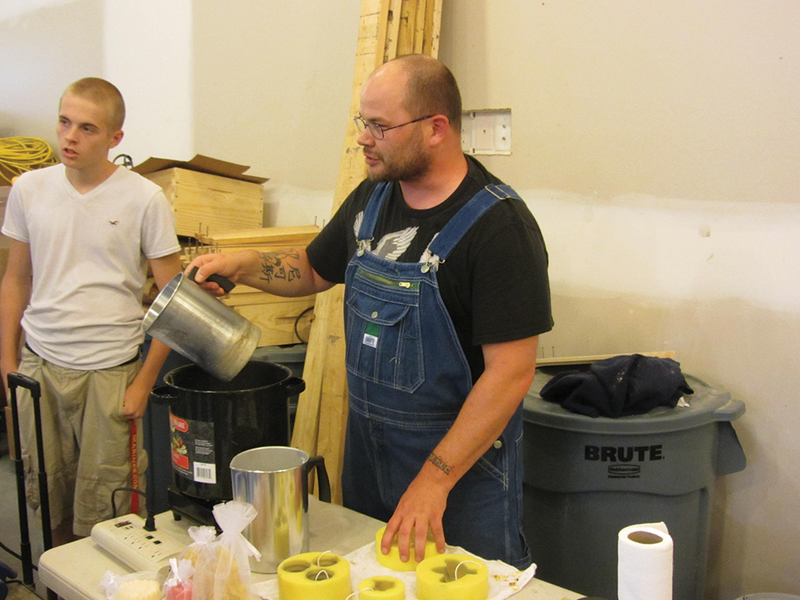 Guest speaker James Copenhaver demonstrated how to harvest honey many different ways. One of the Vets, Nick, was taken under their wing and they are mentoring him in all aspects of beekeeping. Nick is now one of the must trusted trouble shooters and will do a home call for members of the group if they think they are having an issue. 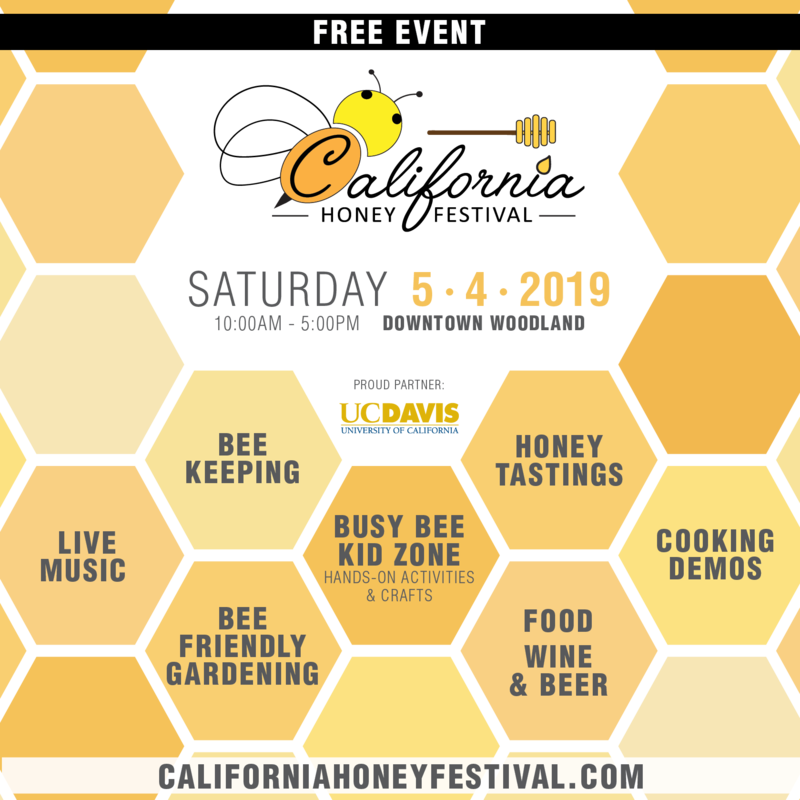 Nick is also expanding his own beekeeping experience by teaching demonstrations like how to make cute butterfly candles from beeswax. Under Eds mentoring, Nick has become a go to source of advice as the number of his own hives increases. One of Nicks goals is to start raising some queens more locally adapted to the mountainous areas of WV. James Copenhaver demonstrating harvesting honey at Geezers Ridge Farm training center for the Vets who are planning on having lots of honey next year. Then one of the Veterans and Warriors to Agriculture Vets, Mark Cato, was diagnosed with lung cancer, the doctors telling Mark he better get his Christmas presents very early this year. The Vets group immediately adopted Mark’s hive and moved them into the Vets apiary as his chemotherapy was going to make tending his bees a little overwhelming at the moment. It was then decided, following armed forces tradition, that the apiary needed to be dedicated to one of its first members. Mark was proud to have this group of friends name their apiary after him. For Winter the hives were treated and fed but even into December they were still bringing in pollen. The Vets goal for this Spring is to be able to split their hives to expand the apiary with the goal of eventually becoming self-sustaining and raising their own bees and queens. 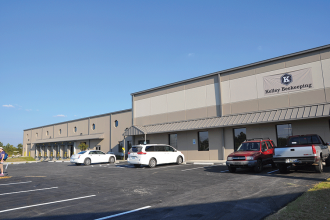 They further are hoping to be able to sell some nucs to help pay for their upcoming expansions, and there are many hives in Vet’s backyards thriving this year. 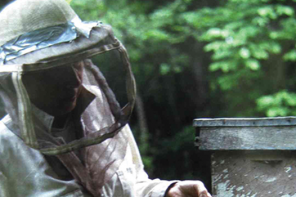 With the help and support of James McCormick, Director of WV Veterans and Warriors to Agriculture were able to set up a free program to help train Vets for Beekeeping. 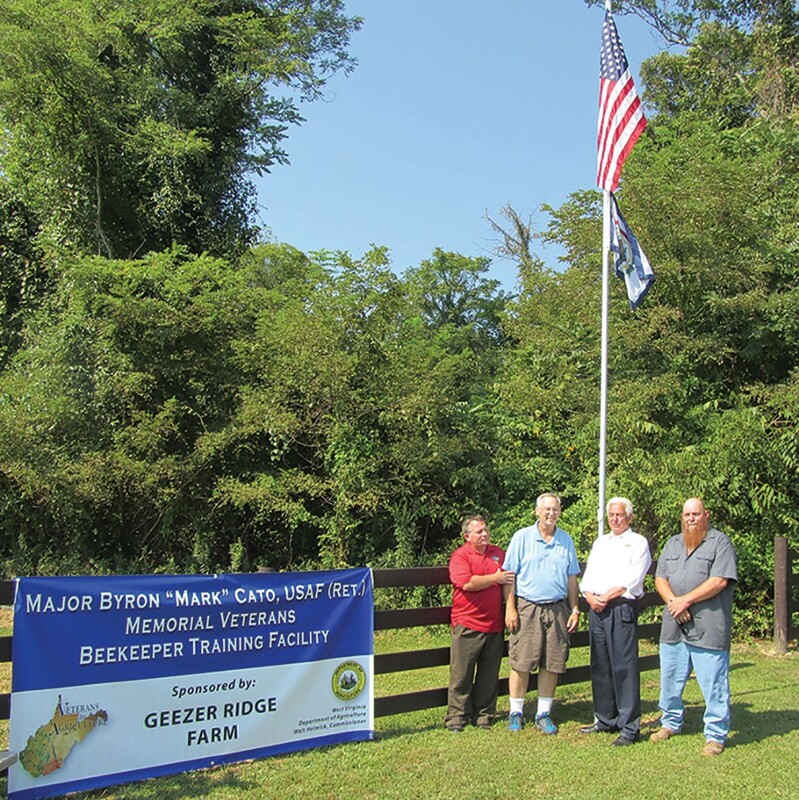 The only official beekeeping training program for WV Vets is further supported by WV Agriculture Commissioner Walt Helmick who is enthusiastic about supporting this training statewide. These legitimate training classes for Vets are free, there is no charge for participating in WV sponsored programs. 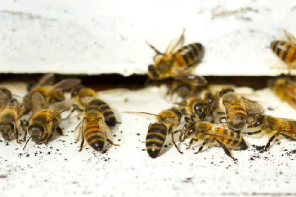 Veterans have complete control over where they want to keep their hives without any contracts. The next wider goal, depending on funding, is to expand the beekeeping course to more Veterans countrywide using our training center classes as an example. Questions about upcoming classes and state funded training contact Ed Forney or the head of the program, James McCormick at 304.558.3200 and email at jmccormick@WVDA.US. There is also a Facebook page for help for veterans in joining the free programs. Full disclosure, Ed is also one of my several mentors, he encourages people to learn versus preaching about beekeeping vodoo, when visiting Geezer Ridge Farm be prepared for a hands-on opportunity at any time and make sure to take good notes. 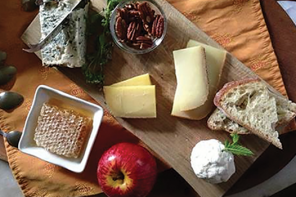 Geezer Ridge Farm is located at 173 Rooney Road in Hedgesville West Virginia 25427. They can be reached at 304-702-3848. Mark Cato succumbed to cancer shortly before this article was published. Jack lives on a small farm with his wife Toni in WV growing bees and making mead and can be reached at wvmjack@gmail.com.